The need to introduce children to learning languages at a young age has been widely acknowledged, with Modern Foreign Languages now set to become a core part of the primary curriculum. As schools seek to develop their offerings and make more effective foreign language provision, there is an urgent need for advice and guidance on best practice. Now fully updated for 2017, Modern Foreign Languages 5-11 meets that need. This book brings together key pedagogical issues into one user-friendly guide that aims to help all practitioners to teach MFL as a dynamic, stand-alone subject whilst retaining a cross-curricular focus. Practical ideas to help integrate effective language learning, teaching and assessment into the curriculum are combined with examples of best practice, revealing how you can turn pupils into enthusiastic, lifelong learners. The transition from primary to secondary. 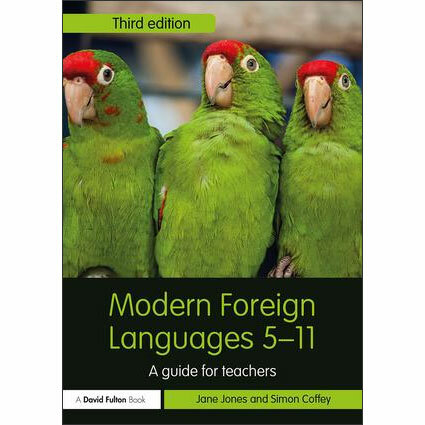 With MFL at the forefront of all educational discussion, this timely book offers ideas and guidance to all BA, PGCE and MA students training to be MFL teachers and practising primary teachers who are looking to effectively run an Modern Foreign Languages programme in their school.